Thailand Embroidery Companies produce high quality products such as garment trimmings and embroidered trimmings for the garment industry. There are also a few manufacturers who produce lower cost embroidered items such as embroidered hats and caps, embroidered shirts and items suitable for the corporate gifts market. Bangkok Companies is now firmly in the Bridal Business, with our new website. 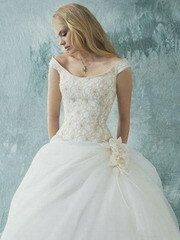 We have gathered together what we think are the best manufacturers of bridal wear products in Thailand. An essential part of this project was to find high quality embroidery products. We need high quality embroidery and consistency to adorn our range of wedding dresses. There are of course many products made here in Thailand that use embroidery as a small or large part of the finished product, a list can be found below. Bangkok Companies is a full service product sourcing company in Thailand. For All your embroidery needs please email bangkokcompanies@gmail.com with your requests. 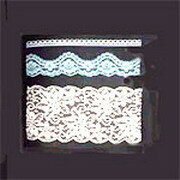 Thailand Lace Thailand International lace importer, lace exporter, lace wholesaler and distributor of all types of lace products from lace fabrics, lace trimmings to the finished garments and accessories trimmed with lace.